Ability to exclude unwanted objects from Merging. Automatically fixes paths to Textures for merged models. Search files by name, description and tags. 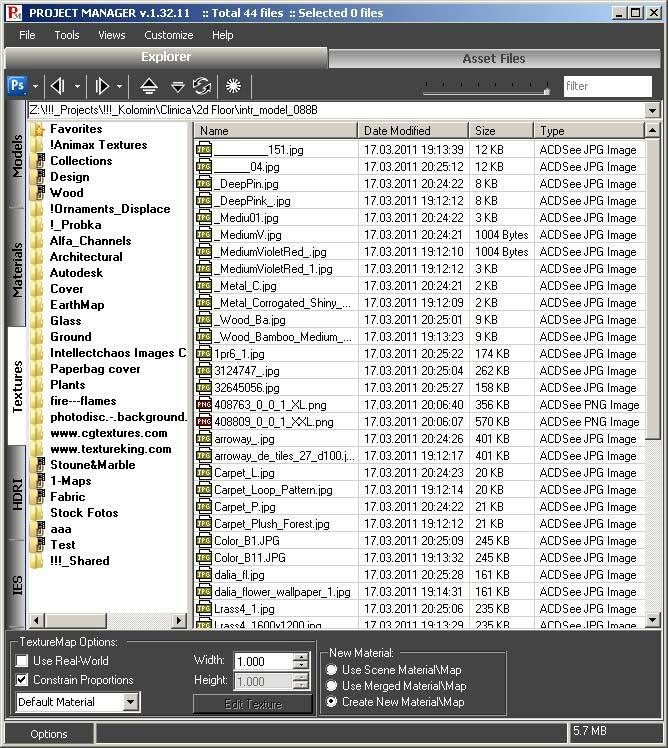 Ability to add a description and tags to max, ies and image files. 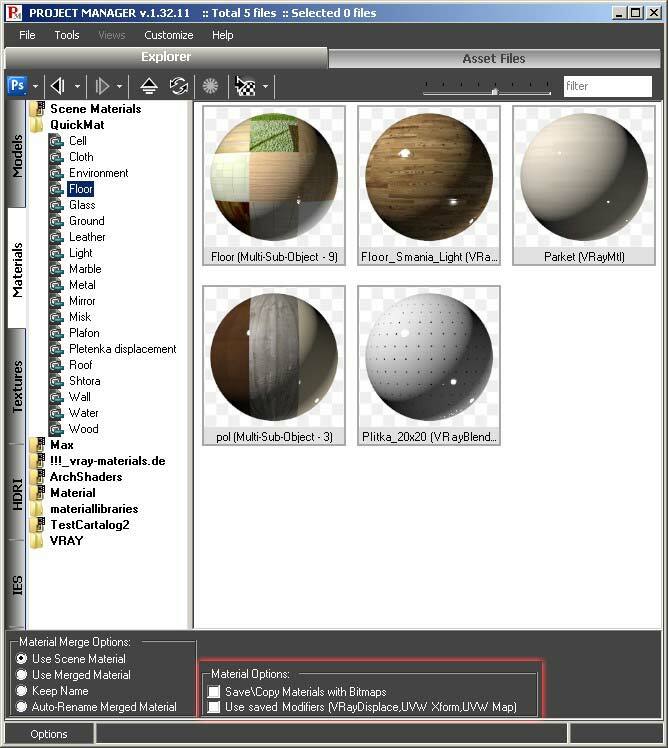 Display of embedded thumbnails in 3Ds Max, GrowFX, BIP motion, SketchUp, Revit, HDRI & etc. Opening the files into the external application. Support to almost all known renderers and plug-ins. Demo version allows to work only with limited number of files. Submitted by Kstudio on Fri, 2011-03-18 05:17. P.S. Project Manager is updated. This update fixes a serious bug in 3ds max 2011. Soon I'll post a description of changes for the new version. 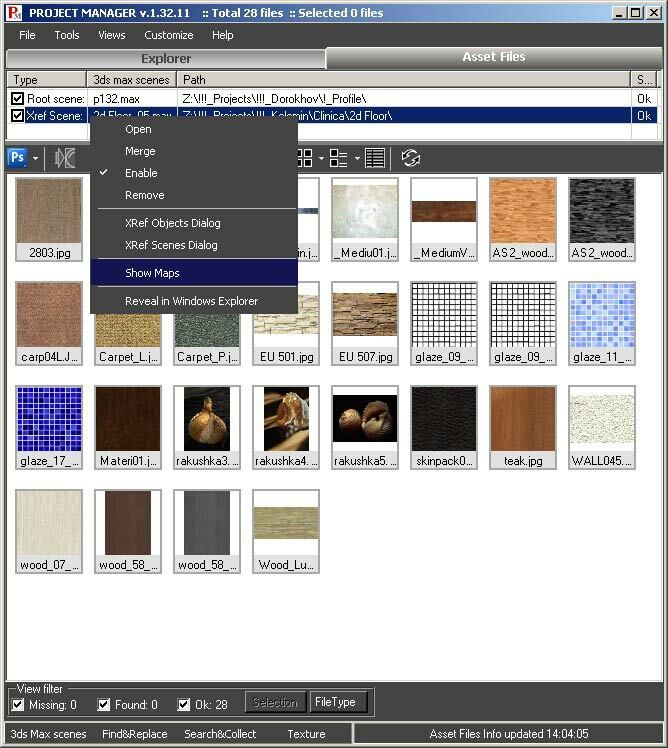 Project Manager -the utility for cataloging and use 3d models,materials, IES,HDRI & etc. Submitted by windrock on Thu, 2011-03-17 18:10. Is it possible to have the option to Xref Object in the model (not Xref Scene)? Submitted by Kstudio on Thu, 2011-02-24 07:56. The last version of PM has uninstaller. Submitted by dreamie on Thu, 2011-02-24 02:32. *edit*, found how to uninstall it. 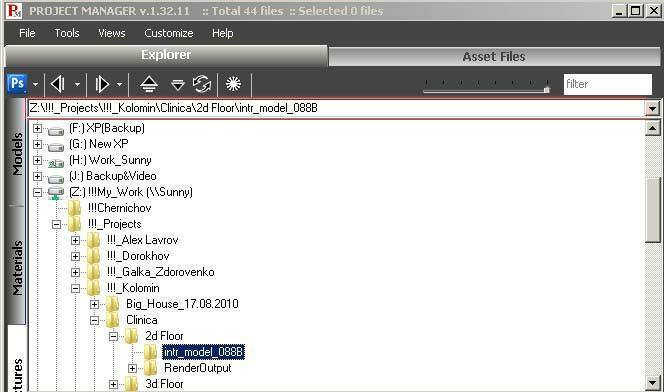 Just open the mzp file like a zip file and then delete all the corresponding files that are in the mzp file in your "C:\Users\[user]\AppData\Local\Autodesk\3dsmax\2009 - 64bit\enu " directory. Submitted by Kstudio on Fri, 2011-02-18 10:49. Max 2010 does not work correctly with files and folders that contain non-unicode characters. Submitted by moritzw on Fri, 2011-02-18 10:28. Submitted by moritzw on Fri, 2011-02-18 10:26. /Update: When I activate "convert local files paths to relative" in the max preferences, the correct named files PLUS the "messed up" alphanumeric named textures appear in the maps folder. Submitted by Kstudio on Fri, 2011-02-18 10:24. It looks very very strange. Please tell me the full path to the texture file before copying and after. Submitted by moritzw on Fri, 2011-02-18 09:32. I use Windows 7 64 bit and Max 2010 with the demo version of your script. Any ideas how to fix this? When I use the "Copy to" function in the asset files mode before by copying the files to the exact maps folder before and delete the textures and redo the copy/paste progress, the file names stay correct. Submitted by dendy on Thu, 2011-02-10 03:37.